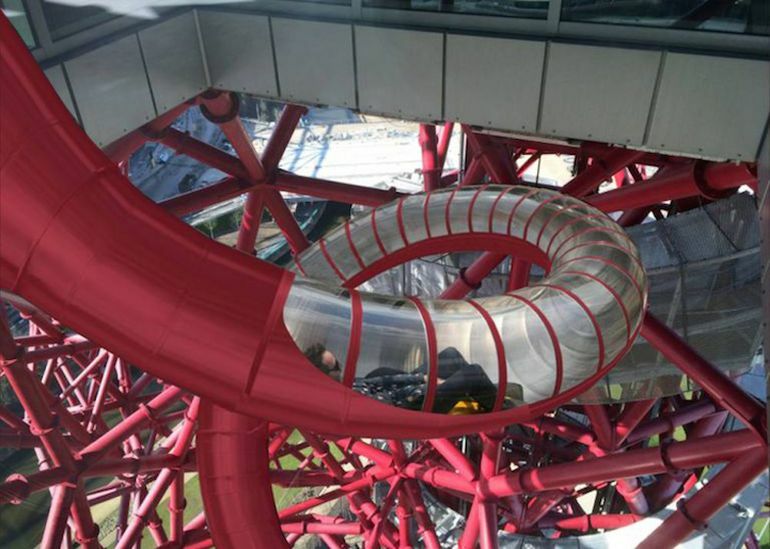 UK’s tallest sculpture will soon sport the world’s longest and tallest tunnel slide, as part of an attempt by the London Legacy Development Corporation to attract more tourists and visitors. 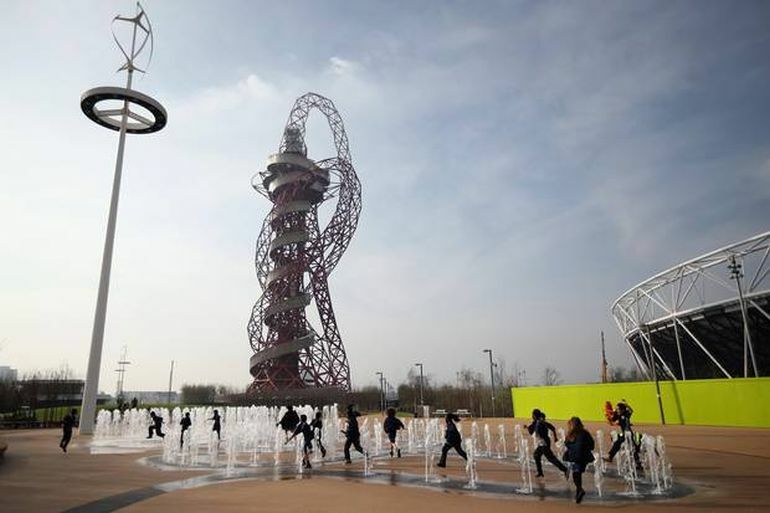 Designed by Cecil Balmond and Anish Kapoor, of Arup, the 376-foot (nearly 114-meter) ArcelorMittal Orbit was originally constructed as an observation tower for the 2012 London Summer Olympics. According to the new plan, a 591-foot (approx. 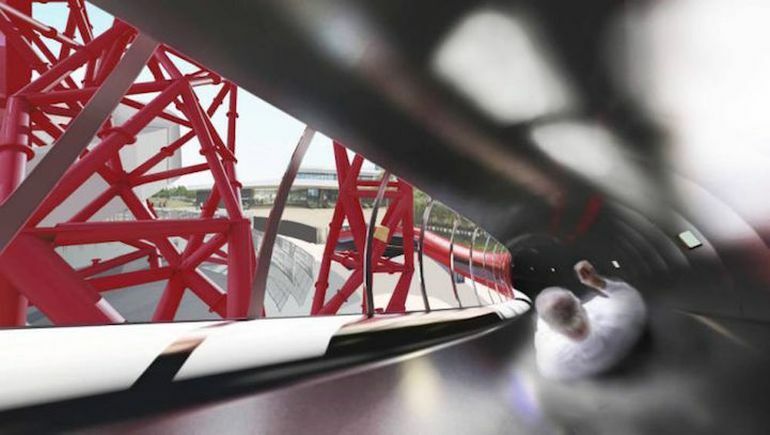 180-meter) long tube slide will soon be built around the sculpture. It’s about adding another attraction to the attraction. 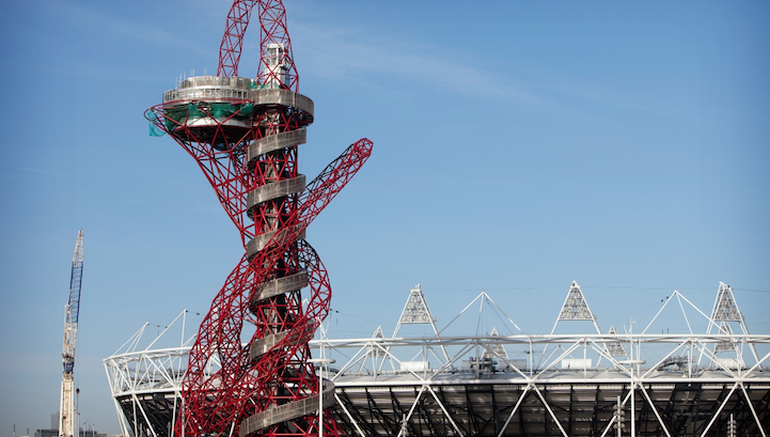 We’ve already got Anish Kapoor’s mirrors that turn everything upside-down, and the view. We’re looking at what other experiences can we provide to engage with the sculpture. Now we’ve got to work out how to attach it to the sculpture. It will be manufactured off-site. 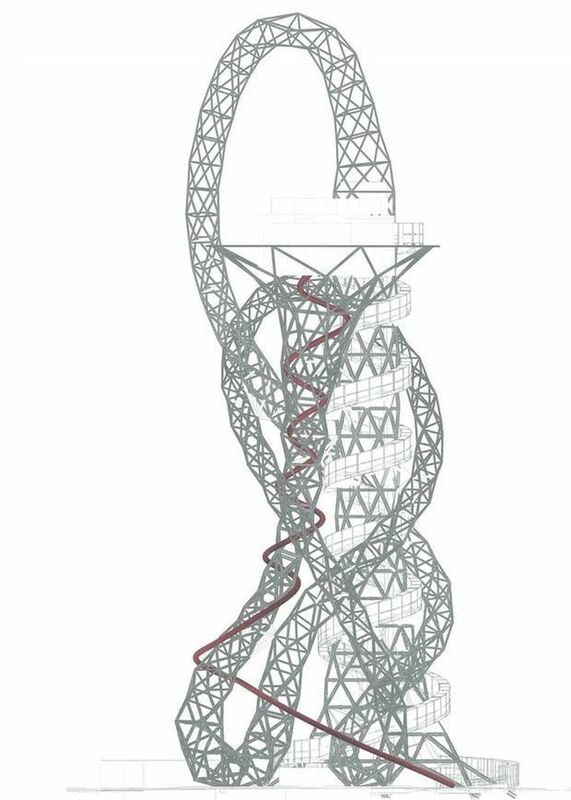 The real challenge is the construction process – whether to scaffold around the sculpture or whether it can be done by abseiling… The entry will be on the low platform and it’ll come down to the ground winding in and out of the legs of the Orbit. 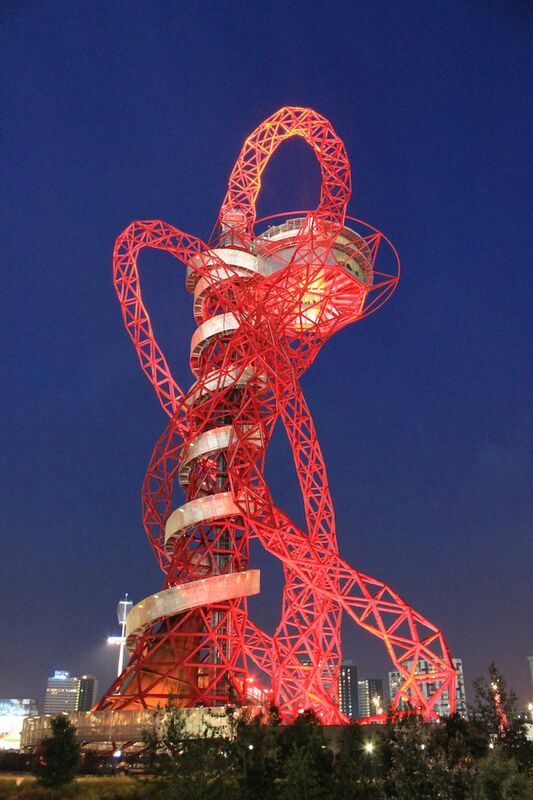 So it will fit within the silhouette of the sculpture – but you will be able to see it. The slide starts in darkness [on the platform] and then you get outside and it’s in blazing light.